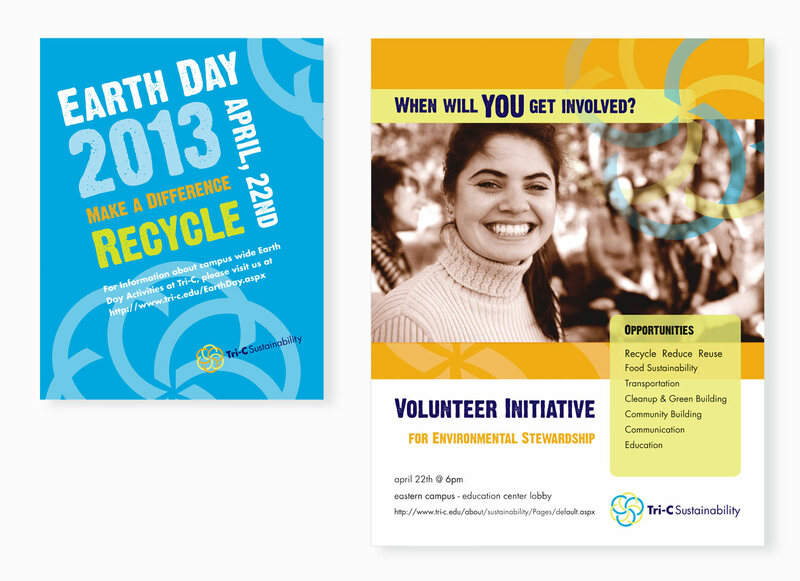 The Tri-C Sustainability program required a new logo and marketing materials to promote its activities. 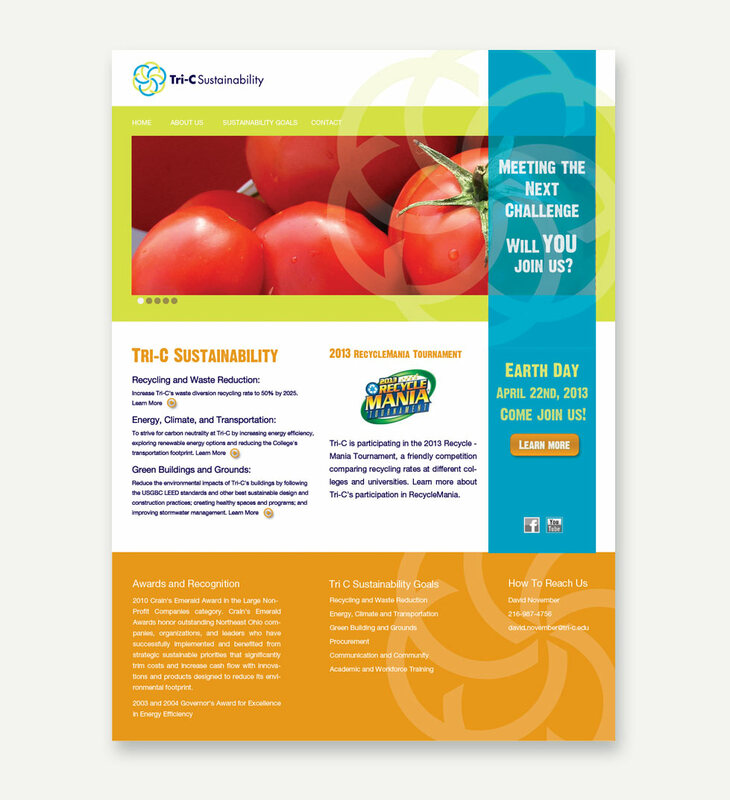 The logo consists of 2 differently colored sets of three C-shapes symbolizing Tri-C as well as the six branches of Tri-C’s sustainability efforts (Academics & Workforce, Recycling & Waste Reducation, Energy, Climate & Transportation, Green Buildings & Grounds, Sustainable Procurement and Communications & Community). The C-shapes are coming together in the middle, the center of activity, reaching outward in a circular motion to cover a circular space and creating a whole. This represents the impact Tri-C’s Sustainability program is having on the environment and its community but also the wide range of resources that are being incorporated. The logo can be used in different color combinations. It would also possible to animate the logo for a greater impact on video for example. 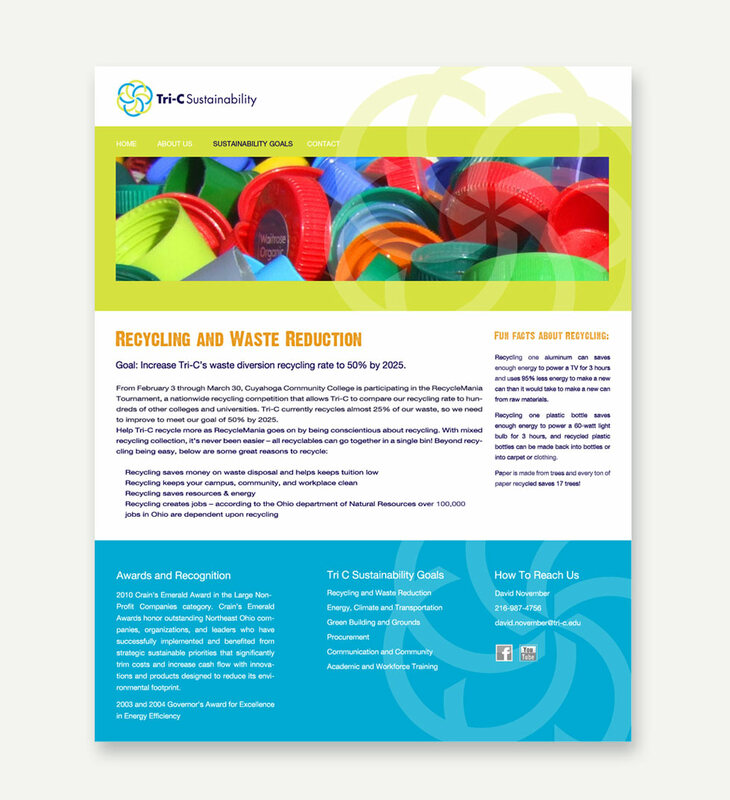 The branding was applied to several marketing materials such as event flyers and posters and a website.